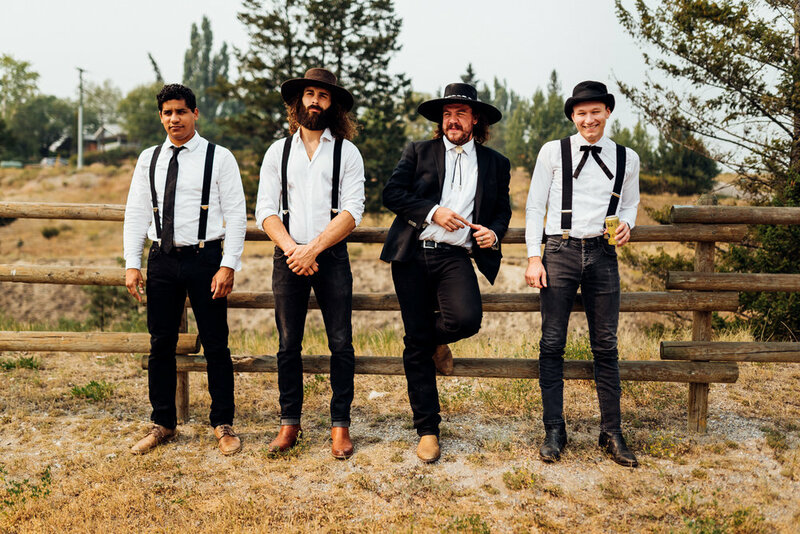 The Dead South, a gold rush vibing four-piece acoustic bluegrass set from Saskatchewan, infuse the genre's traditional trappings with an air of frontier recklessness, whiskey breakfasts and grizzled tin-pan showmanship. The sound, build on a taut configuration of cello, mandolin, banjo and guitar, speeds like a train past polite definitions of bluegrass into the grittier, rowdier spaces of the traditional world. Currently one of the hottest tickets on both sides of the Atlantic, The Dead South's rise to touring juggernaut status is in part a very modern music biz fairytale, an algorithm-breaking success story in a one hundred-million view youtube hit. The other factor, one simpler to see in terms of cause and effect, is their actual show - on stage they deliver, show after sold out show, a relentlessly great, high-energy frenzy that has resulted in nearly 50,000 tickets sold in 2018. The numbers are adding up for this Billboard charting, JUNO Award winning, Next Big Sound Trendsetting, Road Gold certified band. Through partnerships with ethical ticket resellers, The Dead South are helping fans fight back against shady secondary ticket markets, and have become, in their success, a model of fan-first artist citizenship. The Dead South's original and current lineup includes the gnarled baritone of Nate Hilts, Scott Pringle on mandolin, whistling cellist Danny Kenyon and virtuosic banjo player Colton Crawford. The four-piece, acoustic string-driven approach puts the interplay of unique and versatile voices front and centre, with Hilts, Pringle and Kenyon all sharing lead vocal duties. Since their 2016 release, The Dead South have maintained this formidable touring pace while also finding time to pop up in fitting and meaningful ways; the band contributed to the recent, star-studded bluegrass and Americana Roger Miller tribute album, Hilts has appeared in sparse and sweet duets with fellow prairie boy Colter Wall, and the band has taken the first steps towards a new album with a trip to Muscle Shoals. The Dead South are ready for 2019 with an impressive amount of fuel for the fire. © 2019 Six Shooter Inc.